Crawford, Murphy & Tilly (CMT) has been providing water system planning, design and construction engineering services to the city of Aurora for more than 45 years. During this time, the population of Illinois’ second largest city grew over 170 percent, to over 200,000 residents. We have worked on projects that include all of the city’s deep wells, shallow wells, well houses, storage tanks, pump stations, water treatment plant well collector main and transmission mains, as well as countless miles of distribution water mains. 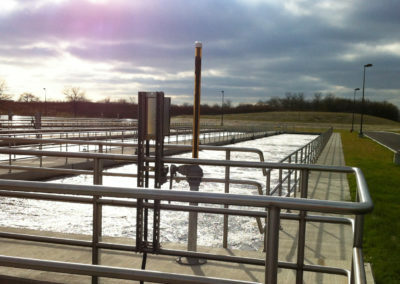 In addition to design and construction projects, CMT has completed multiple water system master plans for the city. One of the Water Master Plans included the evaluation of alternative water source and treatment to meet radium regulations. 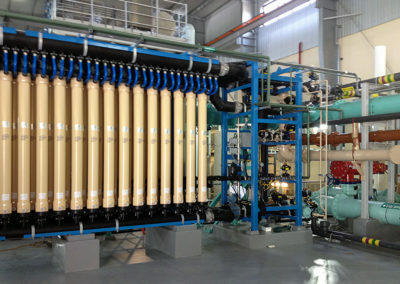 Several potential water treatment alternatives were evaluated. 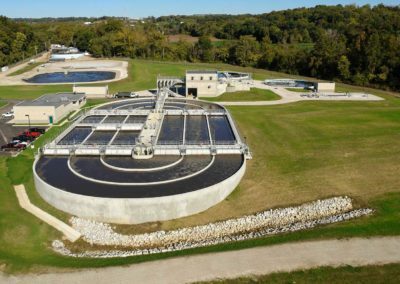 Life cycle costs were estimated for each of the water treatment alternatives to determine the resulting impact to user rates. We provided planning, design and construction engineering services for the entire program which included the construction of a 28 MGD water treatment plant, well collector mains, river intake and transmission mains.